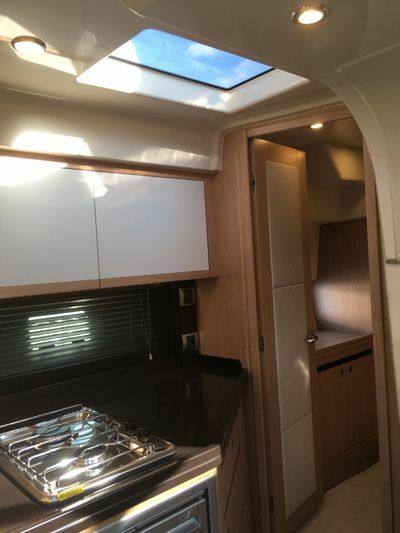 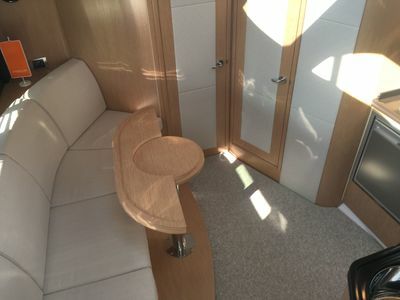 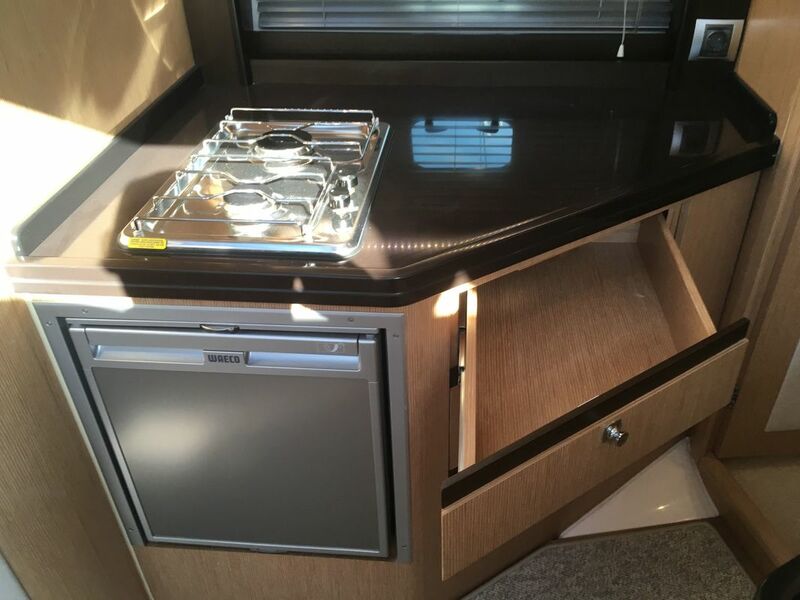 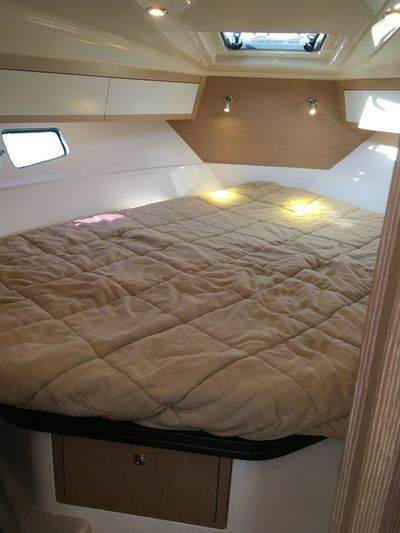 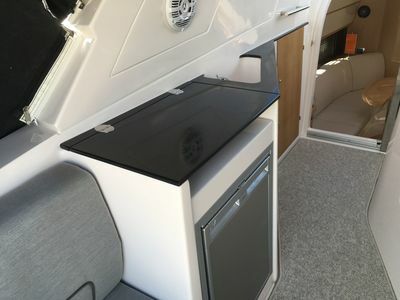 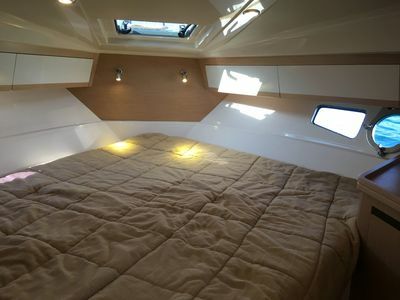 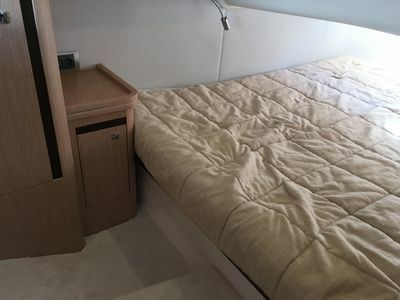 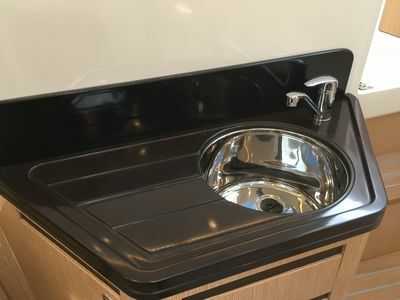 At just under 10 meters in length and with a generous beam, the 33 offers a large cockpit fitted with a galley equipped with a variety of options: gas or electric cooker, and/or grill plus an 80 litre fridge. 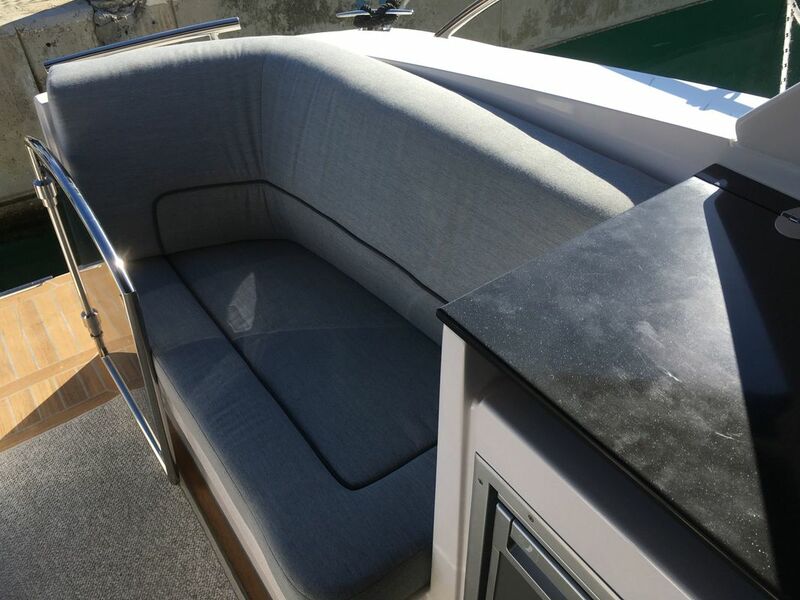 A comfortable settee of modern design and high-quality materials accommodates up to six adults. With a folding table and an extra cushion the sofas convert into a huge sunbed. One of the most prominent features of the deck design is the navigation station, positioned on the starboard side of the helmsman position. No other motor yacht in her class can offer such abundant space for what every captain cherishes the most - charts! 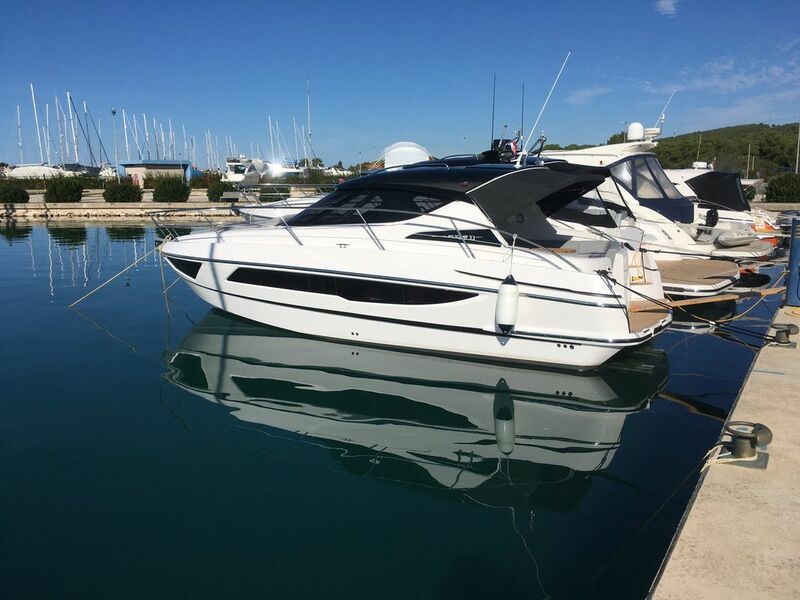 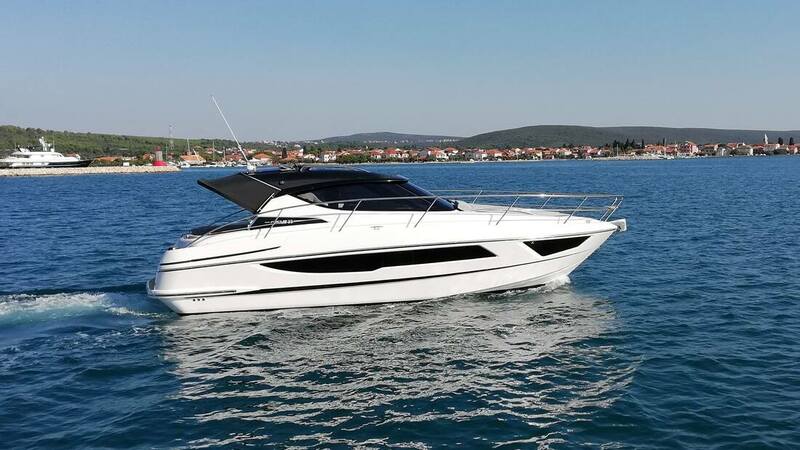 The hull of the Focus Power 33 is optimised to provide both excellent seakeeping and generous interior volume. 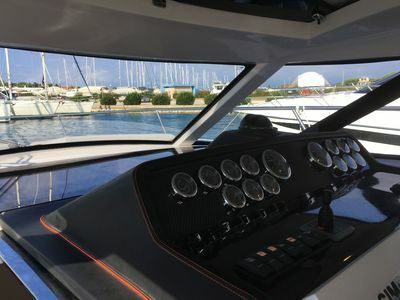 Among a variety of engine options, the twin Volvo Penta D3-220 configuration fitted to the prototype gave a maximum speed of 37 knots. 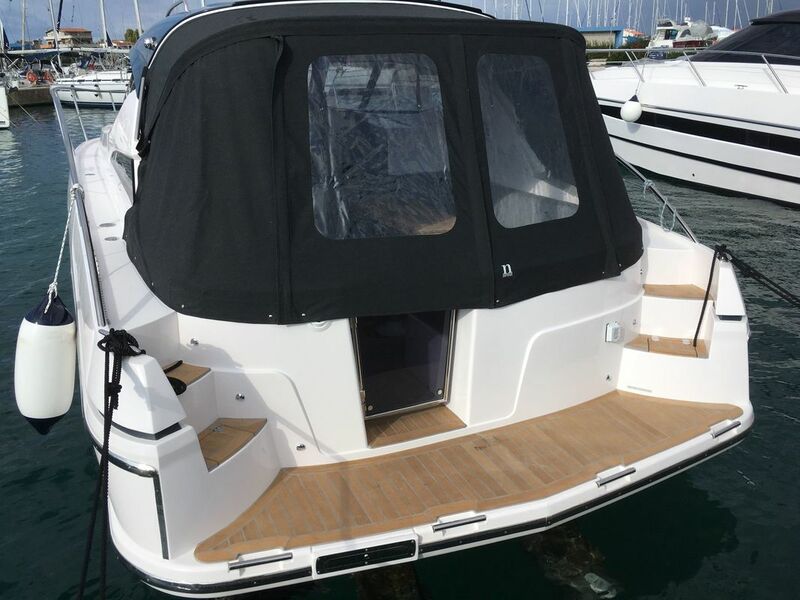 Thanks to the technology of laminating joints, predominantly between elements positioned within the hull, as well as the hull and deck join, this boat is strong enough to endure challenging sea conditions. 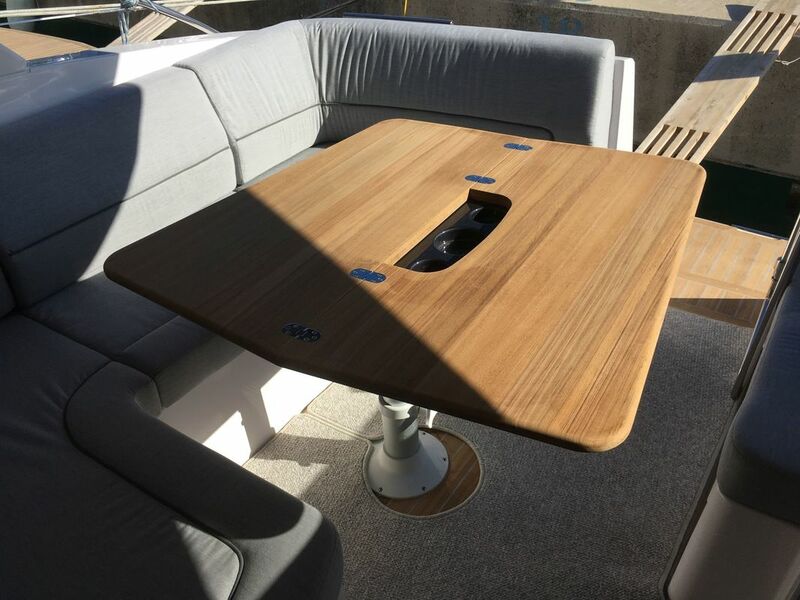 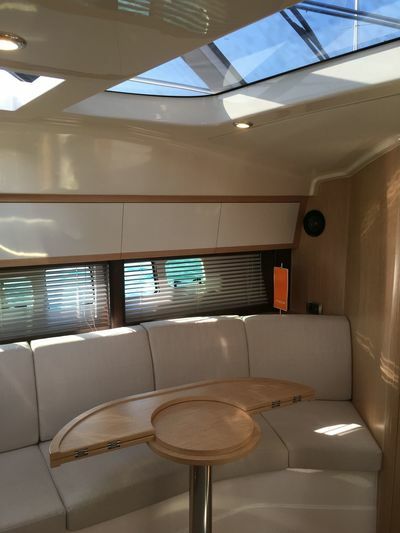 Below deck, the Focus Power 33 features standing headroom. Lit by large overhead skylights, the interior is fitted out with modern furniture made of FineLine Oak matt wood and is very practical. Dividing the galley into two sections creates plenty of work space. 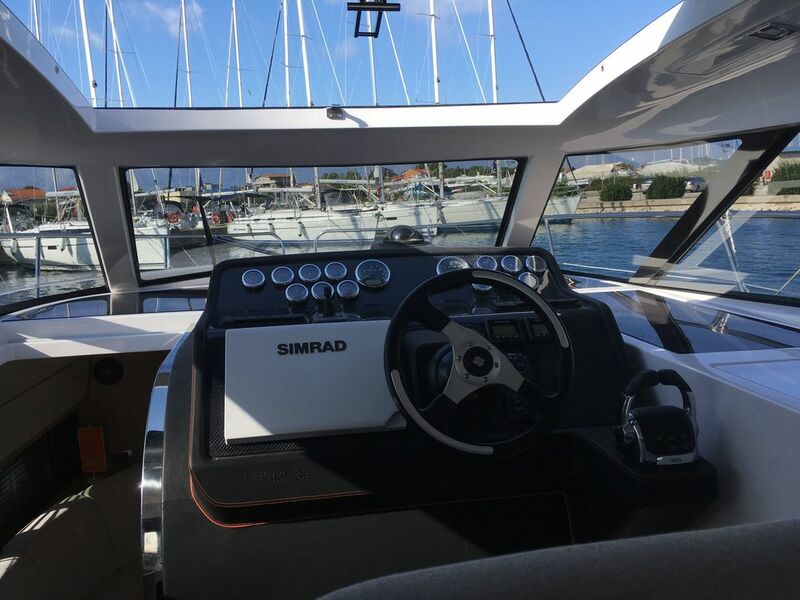 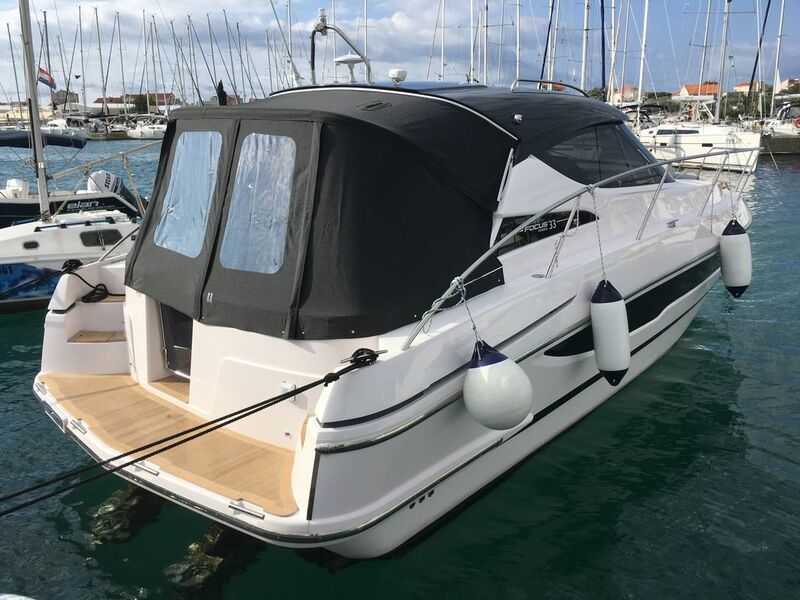 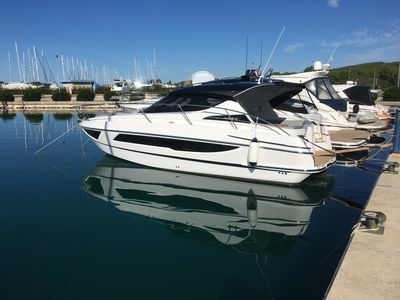 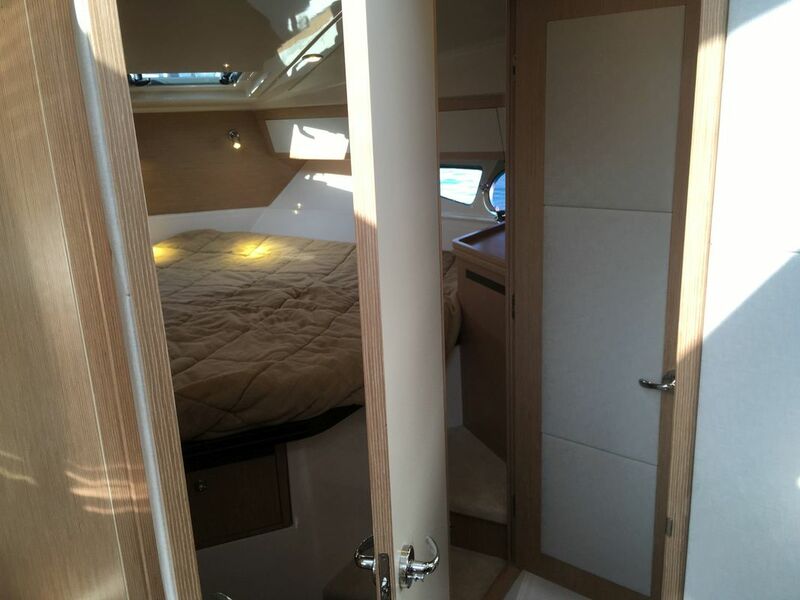 Two very spacious cabins, both with double berths, can accommodate a family of four or two couples, providing them with all the privacy and comfort they might need. 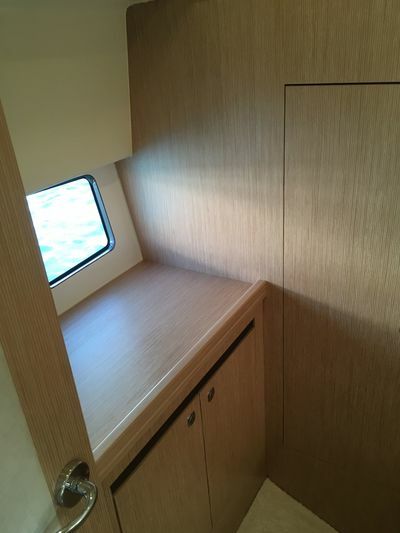 Wardrobes and lockers are suitable for all kinds of personal belongings. 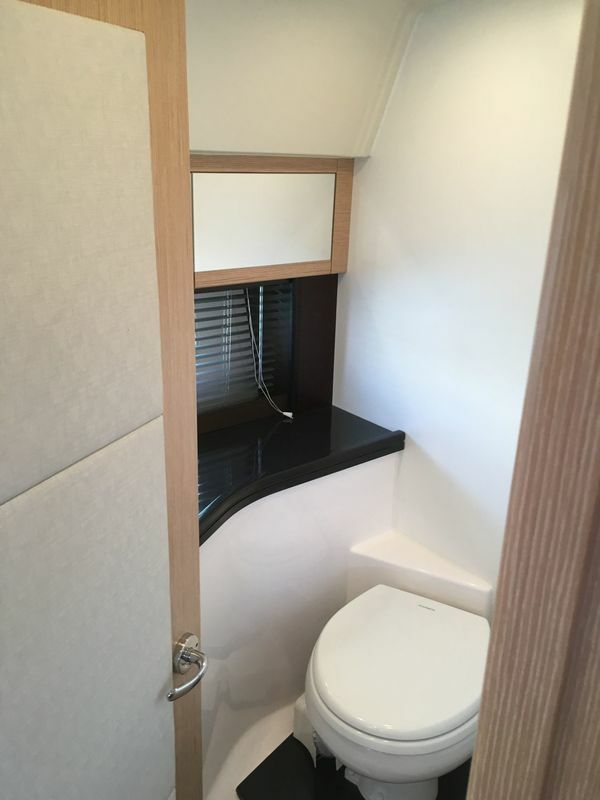 Another luxury feature is the bathroom, accessible from both master cabin and the saloon. 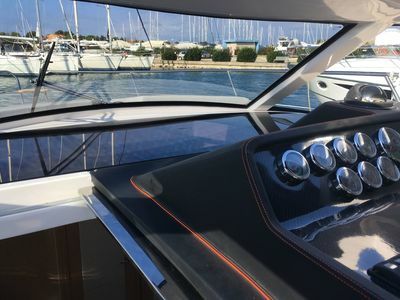 No other hardtop yacht of this size can offer such a unique layout!